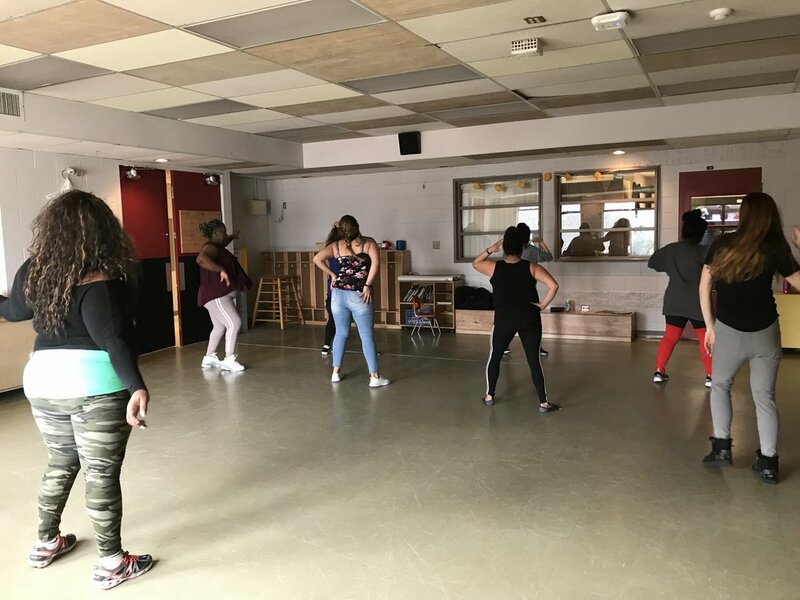 At the beginning of the year RSVP 33 partnered with YWCA Crabtree Corner to provide women of the Downtown Eastside with fun, judgement-free dance classes. We were a part of a program called Taking Steps: Reclaiming Wellness through Trauma and Violence Informed Activity. Their instructor, Sarah, had the opportunity to meet and dance with these inspiring women and ended up walking away with more than she ever expected. I woke up with what felt like the weight of the world on my shoulders. All my emotions, fears, and insecurities were bubbling up to the surface and I couldn’t keep it together. Every time I stopped crying, I would start up again and the thought of walking out my door was daunting… let alone teach a dance class! Girl, are you serious right now?! I told myself to get it together and push it down because in 30 minutes I had to be my bubbly, awesome self. Honestly, I couldn’t muster the courage to just be me in that moment, even if me was a puffy eyed, imperfect mess. That was where my head was at walking into week three of class. This is now. For the past month, I taught an amazing group of women how to dance. We grooved, we laughed, and to be honest, we sweat… a lot! Not only did I enjoy my time with them, but I also came away with a better appreciation for movement and its impact. By giving these women the opportunity to dance in a judgement free, body positive, “you do you boo” environment, I was able to build relationships, a sense of community, and a safe place for them to move their bodies and have fun. It was extremely rewarding to be a part of their weekly routine and see not only their physical triumphs but emotional ones as well. It was a weekly evolution. As their comfortability grew, so did their participation and confidence. Dance provided these women with an outlet for physical activity, self-expression, and self-love. I ended up being honest and opened up to the group at the end of our class on the hard day I described above. I told them how earlier I was feeling overwhelmed and expressed that their courage, vulnerability, and gusto inspired me to have strength and confide in them. Here I was, facilitating a class where these women could be vulnerable and let go when in reality, they were providing an environment for me to do the same. They reminded me that as humans, we all face difficulties, and though everyone has their own kind of struggle, they impact who we are and sometimes sharing and connecting about these things can make all the difference. So, I invite you to open up and let people in. I invite you to get up and move your body. Hey, why not sign up for RSVP 33 while you’re at it. But seriously, I invite you to be courageous and take the first step… whatever it may be for you.